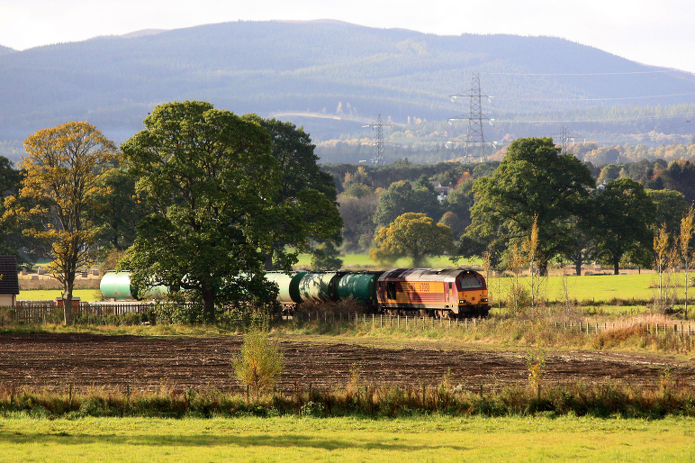 News came at the end of March that the oil deliveries to Lairg and Fort William Scottish Fuels depots will no longer be made by rail. Scottish Fuels is owned by Certas Energy and a spokesman stated, "We can confirm that a decision has been taken to supply the Fort William depot by road to reduce travel costs and improve stock-holding efficiency. The depot in Lairg will now receive stock from our Inverness terminal by road." "The rail contract ended last week and we estimate there will be 400 truck movements annually split between Fort William and Lairg." In response, the Scottish Representative of the Rail Freight Group, David Spaven, said, "While the volume of oil traffic moving by rail to Lairg was relatively modest by modern trainload standards, the loss of traffic to road haulage is highly regrettable at a time when rail freight desperately needs new markets to replace coal - and policy at all levels of government firmly favours modal switch in the opposite direction. Transport Scotland and Network Rail need to reflect on the rail infrastructure constraints which undermined the economics of the service, limiting freight train speeds to just 30 mph between Dingwall and Tain and restricting the tank weights to only 75% of full loading capability. These are constraints which simply would not be tolerated on the road network." "However, if a through freight service to Caithness can be established again - perhaps on the basis of the mixed sleeper and freight service mooted by HITRANS - then maybe the economics of oil to Lairg can be put on a sounder footing. We should remember that there is a precedent for this traffic being lost to road but later regained by rail - the tank traffic came to an abrupt end when the Ness Viaduct collapsed in 1989, but eventually switched back to rail in 2002 as part of a wider Freight Facilities Grant package for oil traffic from Grangemouth."